Tide Station Survives Hurricane Maria! 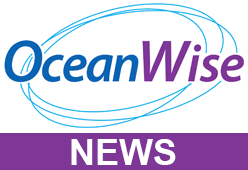 OceanWise > News > Uncategorised > Tide Station Survives Hurricane Maria! Hurricane Maria caused widespread damage on the Caribbean island of Dominica on the night of 19/20 September and our thoughts are with the islanders as they start to rebuild their lives. Data from the OceanWise and GIS SRL installed monitoring station on the island’s east coast stopped being received at around 0230 AST, either via the US GOES satellite system or via island’s cellar network. Nothing was heard from the station, and the worst was feared, until suddenly after 8 days, data started to appear on Port-Log.net again. 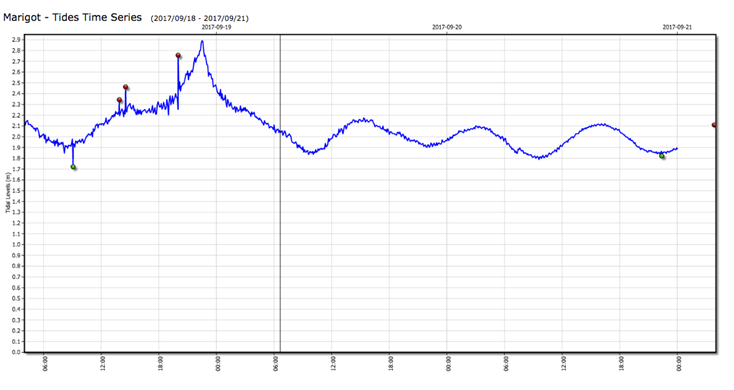 First, new data started to be displayed then all of the missing data was sent through as the backlog was cleared.